Attract, motivate and retain talented people by helping them get the most from their benefits package. Zest is the next generation platform that's reinventing the world of employee benefits. Employee benefits should be quick, simple and easy. Whether it’s quick implementation, simple administration or easy reporting for HR professionals. Or, quick to access, simple benefits selection and easy to understand information for your employees. Zest works hard to engage employees with their benefits, any time, anywhere, any place. Whilst powerful automation removes the burden of administration, puts you in complete control and dramatically brings down costs. Zest is designed to support your benefits program in 4 key ways, by elevating engagement, controlling costs, automating administration and reducing risk. It’s never been easier to implement great employee benefits technology, so why wait? 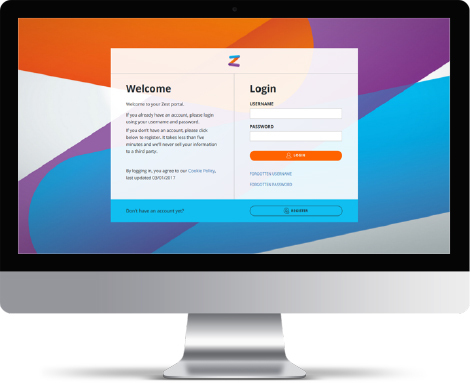 "Our employees love the new portal, it's got a fresh new look and is so simple and intuitive to use." "Zest's Project Managers were fantastic, they carried out the project with complete control and were with us every step of the way, answering any questions we had." We provide a complete support service to help you get the most out of your benefits scheme – from setting up your scheme, to improving employee engagement, to ongoing administration and maintenance.